Krylon Protective Spray Adhesives - GS Direct, Inc.
#1306 Workable Fixative - Long-lasting protection with a workable surface. #1311 Matte Finish-Produces a permanent, non-gloss finish that eliminates glossy sheen and light reflection on black and white or color surfaces. 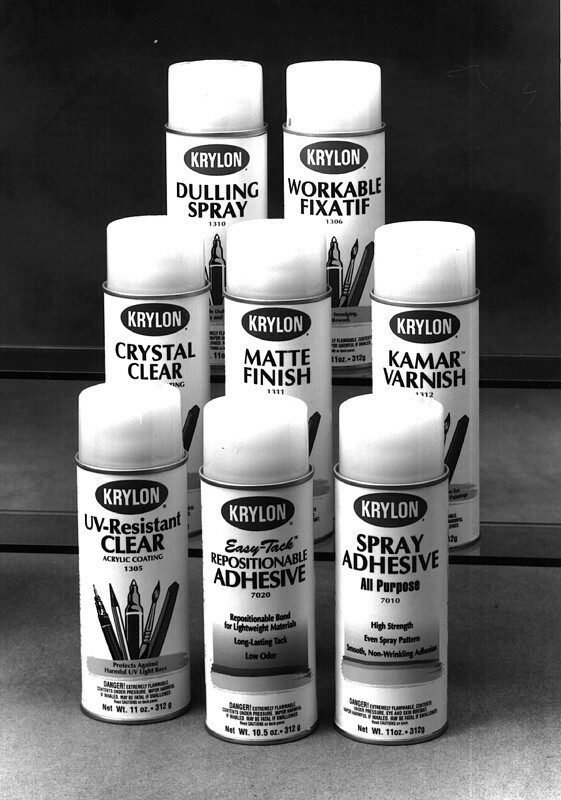 #7010 All-Purpose Spray- Smooth, high-strength bond; no wrinkling or bleed-through. #7020 Easy-Tack Repositionable Adhesive - Repositionable bond on lightweight materials such as layouts and artwork.